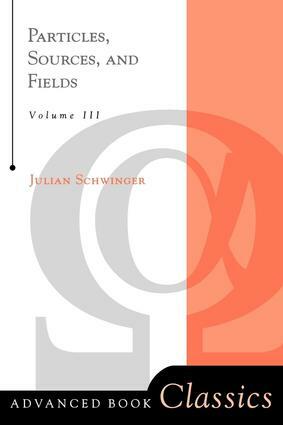 An extension of Dr. Schwinger's two previous classic works, this volume contains four sections in addition to the previous sections of Electrodynamics II, which were concerned with the two-particle problem, and applications to hydrogenic atoms, positronium, and muonium. Electrodynamics * Two-Particle Interactions. Non-relativistic Discussion * Two-Particle Interactions. Relativistic Theory I * Two-Particle Interactions. Relativistic Theory II * Photon Propagation Function II * Positronium Muonium * Strong Magnetic Fields * Electron Magnetic Moment * Photon Propagation Function III * Photon Decay of the Pion. A Confrontation.